Candice Patton is an American actress popular for her role as Iris West in the series aired by CW Television Network, ‘The Flash’. She is also known for playing the role of Tori in the Black Entertainment Television (BET) series, ‘The Game’. The series created by Mara Brock Akil is a comedy-drama which premiered on the 1st of October, 2006. Candice Kristina Patton was born on June 24, 1988, in Jackson, Mississippi, United States, but was raised in Plano, Texas. Her mother is an African-American opera singer while her father, Paul Patton, is a European-American engineer/musician. Having grown up with a performing mother and a father who had a flair for music, Candice became interested in acting right from when she was a child. While in St Paul Christian School, she was a cheerleader but began paying more attention to the theatre after she tore her anterior cruciate ligament. Due to her obsession with actress Lucille Ball, the tv star was eventually inspired to pursue a career in acting. The talented actress graduated from Southern Methodist University in Dallas with a Bachelor of Fine Arts (Theatre); this was in 2007. Meanwhile, during her first year in the University, CBS organized a nationwide audition contest (Soap Star Screen Test) for university undergraduates to win a role on the soap opera, ‘The Young and the Restless’. Candice emerged the winner alongside Iman Nazemzadeh. She briefly relocated to Los Angeles to be part of the show as a cast member, appearing in five episodes. Years after, she kept on finding roles in many popular television shows, such as ‘The Bold and the Beautiful’, ‘Entourage’, ‘Heroes’, ‘Grey’s Anatomy’, ‘CSI: Miami’, and ‘Man Up!’. She also acted in ‘The Craigslist Killer’ and the action-horror film, ‘The Guest’. More to that, Candice bagged a starring role in The WB’s television series, ‘Sorority Forever’ in 2008, playing the role of Mercedes Muna. She equally played the role of Olivia, a sorority applicant in two episodes of the NBC sci-fi superhero series, ‘Heroes’ in 2009. In 2012, she acted as Dana in the independent film ‘Commander and Chief ‘. 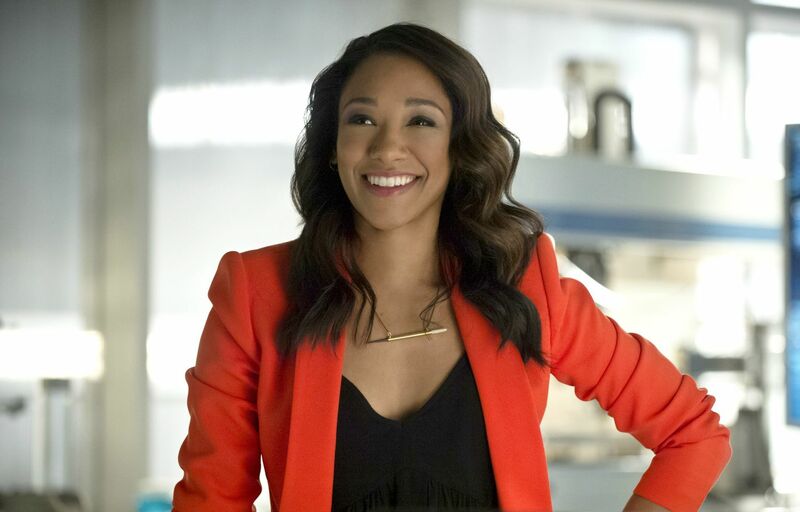 The screen diva had a major breakthrough after playing the role of Iris West in The Flash. The actress was nominated for several awards for her role in the series, including Teen Choice Awards for Breakout Star, Chemistry shared with Grant Gustin, Liplock shared with Grant Gustin and Choice Action TV Actress. In 2017, she won the Saturn Awards for Best Supporting Actress on Television and in 2018, she was nominated for the same award in the same category. From the time Candice Patton made her television debut in 2004 until now, she has featured in twenty television series, three movies, three web series and still counting. The beautiful Black American lady took the 5th position on BuddyTV’s “Sexiest Women of 2014” and also ranked 61st in Maxim’s Hot 100 List. As a way of giving back to the society, Candice launched an online global collective known as “Shethority” (as in She + Authority) in 2017. Shethority is a platform she created for women to inspire and empower other women by sharing their stories and experiences on how to deal with self-acceptance, homophobia, and sexual harassment at the workplace. Outside the social media, Shethority has a clothing line through which money is raised and donated to non-profit organizations involved in the fight for the rights of girls and women, such as Girls Not Brides and Girls, Inc. Her Parents and Boyfriend, Is She Married? Candice Patton was born to Arianna Jackson and Paul Patton. The couple started dating shortly after they met during one of Arianna’s performances and subsequently got married after they had their first child, Adrian. Their marriage, unfortunately, ended in a divorce when Candice was just five years old and Arianna moved to Plano, Texas, with her children. Candice, however, maintained a good relationship with her father and even went to stay with him often. Candice Patton is one of the few people in the entertainment industry who keeps her personal life strictly away from the ever-prying eyes of the media. Consequently, it is not known whether she is currently in a relationship. This beautiful and super-talented actress is 5 feet 4 inches tall and has a healthy weight of 55 kg. She has an hourglass shape and a body measurement of 34-25-32 in. Candice also has a full head of thick black hair and a beautiful pair of black eyes to match her oval face.